Xaverian moves up to No. 2 in our poll following an overtime victory over Catholic Conference rival CM. After minimal movement last week, there is plenty of shake up in this week's MIAA Football Top 25 Poll. While Everett once again retains the top spot, there is a reshuffling of the rest of our top five. That is largely due to Acton-Boxboro's surprise victory over previously second-ranked Lincoln-Sudbury. The Colonials move into the top 15 following their win. Elsewhere, Natick moves into the top-20 following its second straight victory and Nashoba (No. 24) makes its first appearance of the season. St. John's Shrewsbury slides back in at No. 25 ahead of its matchup with rival Shrewsbury. Here is our brand new MIAA Football Top 25 Poll as selected by SuiteSports' panel of writers, correspondents, and editors. 1. Everett (4-0; Last Week: 1) With a 35-6 win over Lawrence, the Crimson Tide have now scored 136 points through their first four games. 2. 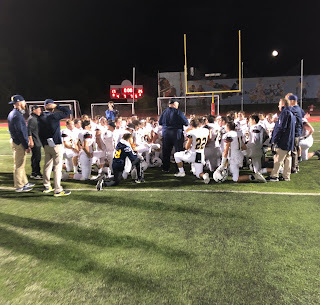 Xaverian (3-1; Last Week: 4) The Hawks proved over the final 30 minutes of Friday night's overtime win against Catholic Memorial that Div. 1 South still runs through Westwood. 3. North Andover (4-0; Last Week: 5) North Andover made its biggest game of the year to date look easy, coming away with a 40-20 victory over previously undefeated Tewksbury. 4. St. John's Prep (3-1; Last Week: 6) Speaking of piling up the points, the Eagles did just that as Wes Rockett's two touchdowns spearheaded a 42-0 win over Westford Academy. The schedule starts to heat up for St. John's starting with a trip on Friday to Catholic Memorial. 5. Catholic Memorial (3-1; Last Week: 3) The Knights have to quickly forget the events of this past weekend with St. John's Prep coming to town this week. 6. Mansfield (3-1; Last Week: 7) A wild second half surge lifted Mansfield to a much-needed one-point victory over Hockomock Kelley-Rex rival King Philip. 7. Lincoln-Sudbury (3-1; Last Week: 2) Warriors were stunned by Dual County League rival Acton-Boxboro courtesy of a last second touchdown. Braden O'Connell's four second half touchdowns were a saving grace. 8. Doherty (4-0; Last Week: 8) Good luck finding someone that can slow down Tajan Vassar. 9. Mashpee (4-0; Last Week: 9) The streak is up to 24 courtesy of who else but Devaun Ford. 10. Needham (4-0; Last Week: 10) Rockets can take another huge step towards securing the one seed in Div. 1 South with a victory over Braintree on Friday night. 11. Shrewsbury (4-0; Last Week: 11) Shrewsbury will look to prove its the flavor of the year off of I-290 when they take the trip to Saint John's this weekend. 12. Duxbury (4-0; Last Week: 12) All of a sudden the Dragons seem to have found a stout defense to go with its plethora of options on offense. 13. Hingham (3-0; Last Week: 16) The Harbormen have taken care of business up to this point. The true test of whether or not they are the team to beat in Div. 3 South comes Friday night with a road trip to Duxbury and the Patriot League Keenan on the line. 14. Acton-Boxboro (4-0; Last Week: 23) The combination of Finn Murray and Victor Otero was electric on Friday night as the Colonials raised plenty of eyebrows with a thrilling win over Lincoln-Sudbury. 15. North Attleboro (3-1; Last Week: 17) There is no question that Milford is not to have to worry about Ryan Clemente again anytime soon. 16. Natick (2-2; Last Week: 21) All of a sudden, the Redhawks look like a legitimate contender in Division 2 South. 17. Braintree (3-1; Last Week: 14) Wamps suffered their first set back of the season on Friday versus Natick, but will have to turn the page quickly with No. 10 Needham up next. 18. Brockton (2-1; Last Week: 15) With the way the Boxers were playing, I am sure they wished they did not have that week three bye. 19. King Philip (2-2; Last Week: 12) The Warriors were a play away from taking down Mansfield once again before ultimately falling 28-27. The emergence of Robert Jarist in his first year under center is surely a welcome sign. 20. Springfield Central (3-1; Last Week: 19) Many left Springfield Central for dead after its opening week loss to Lincoln-Sudbury, but it looks as though that may have been a mistake. 21. Stoneham (4-0; Last Week: 20) Cruise control for the Spartans on Friday as they shutout Wakefield, 36-0. 22. Tewksbury (3-1; Last Week: 18) Redmen ran into the buzzsaw that is North Andover's multi faceted offense. 23. 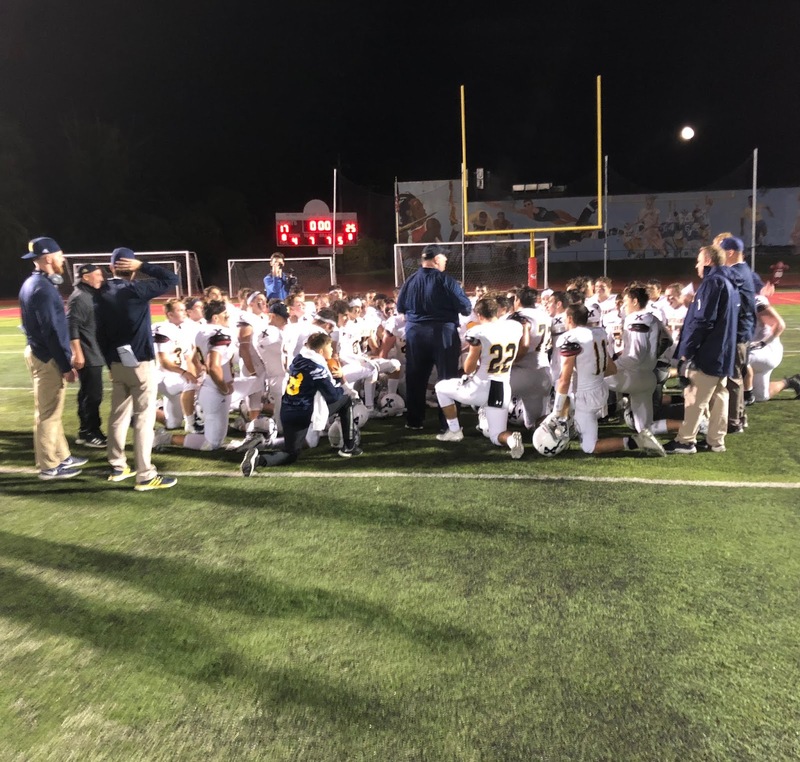 Central Catholic (2-2; Last Week: 25) Anthony Caggianelli did a little bit of everything on Saturday, finishing with three rushing touchdowns and seven tackles in the Raiders win over Andover. 25. St. John's Shrewsbury (2-2; Last Week: NR) The Pioneers seemed to click in Saturday's second half - capped off by a game-winning pick six from Colin Deso - versus Wachusett. Next weekend's matchup with Shrewsbury is circled on everyone's calendar.